WASHINGTON — The ruling council of the European Space Agency (ESA) on March 15 agreed to continue funding a Mars telecommunications orbiter and atmospheric gas analyzer mission for launch in 2016, which along with an entry, descent and landing module will be launched on a Russian Proton rocket donated by the Russian space agency, an ESA official said March 15. The council’s decision will permit the ExoMars industrial team led by Thales Alenia Space of France and Italy to proceed with work on the 2016 mission under a full development contract. Industrial work up to now had been funded in a series of small tranches as ESA governments reviewed their options following NASA’s decision earlier this year to withdraw from the ExoMars project. ExoMars is a two-mission project that is considered as a single program at ESA. The second mission, scheduled for launch in 2018, will carry an ESA-built Mars rover and a second entry, descent and landing module, this one built 80 percent by Russia and 20 percent by ESA, according to the ESA official. As ESA managers had hoped, the arrival of the Russian space agency, Roscosmos, into the ExoMars partnership has saved the mission. NASA originally had agreed to provide Atlas 5 rockets for the 2016 and 2018 launches, and to divide with ESA the cost of the 2018 rover. The photo shows the ExoMars Rover prototype demonstrated during the 2nd ExoMars Industry Day on 23 September 2010 in Turin, Italy. The purpose of the event was to provide a forum to discuss the progress of the ExoMars programme as well as to explore its programmatic and technological challenges. Thales Alenia Space officials have said they could make the 2016 deadline if there were no more stops and starts to the program’s funding. Dordain is expected to confirm this by early April, a decision that would permit ESA’s check-writing body, the Industrial Policy Committee, to continue the money flow to the industrial team. An option to delay ExoMars by two years, with launches in 2018 and 2020, was scrapped as an unnecessary waste of money as it would maintain the industrial team in place for two additional years. But while the council decision removes an immediate problem for ExoMars, it does not solve the longer-term funding issue that has dogged the project for years. ESA governments have approved an ExoMars spending limit of 1 billion euros ($1.3 billion). But despite more than three years of effort, program managers have been unable to secure more than 850 million euros in formal commitments from ESA member states. Meanwhile, NASA’s decision to pull out of the ExoMars campaign riled some of the agency’s congressional overseers. Rep. Frank Wolf (R-Va.), chairman of the House Appropriations commerce, justice, science subcommittee, in late February denied NASA’s request to take money Congress appropriated for ExoMars and use it instead to begin planning a new U.S.-led, $700 million-class Mars mission that would launch in 2018 or 2020. Wolf’s objection opens the possibility that work on several NASA-funded ExoMars instruments could remain funded through at least September. But one U.S. scientist said Wolf’s maneuver would do nothing to get a U.S.-built instrument on the 2016 ExoMars mission. 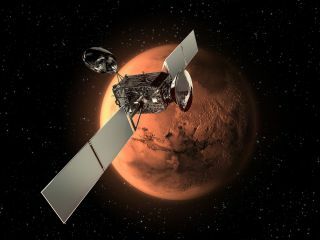 Program officials had said these new charges could swell ESA’s total ExoMars obligations to around 1.2 billion euros. In an interview, the ESA official agreed that new funds would need to be found. The most likely scenario, the official said, is that ESA’s 19 member governments will be asked to provide fresh support for the project when they meet in November in Italy. That meeting’s agenda had already been stressed by the debt crisis that has gripped many governments in Europe, including Italy, which is the lead ESA contributor to ExoMars. One official said that NASA’s 2010 decision not to co-develop a large space science mission with ESA had left a potential source of funds in ESA’s science budget. ESA science officials have said they may have to cancel that mission because without NASA it is too expensive. The ESA official said that with ExoMars now taking on more scientific instruments, many provided by Russia, ExoMars backers may be able to persuade Europe’s space scientists to take part in the program. That would require the approval of the Science Program Committee, which decides Europe’s space science priorities within ESA’s budget. The official said ESA is examining several possible funding sources, and had not ruled out a possible partial return of NASA to the 2018 portion of ExoMars, albeit in a relatively minor role. Space News staff writer Dan Leone contributed to this article. This story was provided by Space News, dedicated to covering all aspects of the space industry.